Conservation challenges are complex because they combine multifaceted scientific issues with social dynamics that often downplay the importance of a healthy environment to a just and resilient society. My work combines conservation science with policy development in efforts designed to inform and empower problem solvers, decision makers, and the public. Our research group, comprising the Landscape Conservation Initiative, Conservation Science Partners, Inc., and a large network of collaborators, has pioneered landscape-level analyses of biodiversity and collaborative approaches for engaging diverse voices in conservation. We work to advance understanding and improve on-the-ground outcomes by delivering rigorous science to participatory processes, leveraging field research, remote sensing, and spatial and statistical modeling. All facets of this work involve students and emphasize experiential learning, from the borderlands of Arizona and Sonora, to the forests of British Columbia, while centering on the Grand Canyon Region of the Colorado Plateau and our home base at Northern Arizona University. Greater Grand Canyon Landscape Assessment, assessing natural and cultural resource conditions in Grand Canyon National Park and on surrounding public, private and Tribal lands. Doris Duke Conservation Scholars Program, training undergraduate students from underserved and underrepresented backgrounds for leadership roles in the conservation field. Conservation Science Partners, Inc., providing advanced analysis to support conservation efforts across the West and internationally. Oil Sands Scientists Group, addressing environmental, economic, and social impacts of oil sands (aka tar sands) expansion in North America. 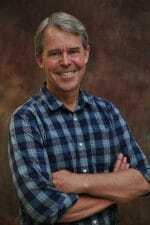 MS Program in Environmental Science and Policy, training interdisciplinary scholars for leadership roles at the interface of environmental science and policy development. ForestERA Project, a pioneering effort to develop data and analytical tools for participatory analysis and collaborative approaches to landscape-level forest planning and management. Effective Area Model, a spatial tool for habitat analysis and planning that integrates consideration of complex edge effects into biodiversity conservation. Hafey, C., T.D. Sisk, C.D. Allen, A.E. Thode, and E.Q. Margolis. In press. Limits to ponderosa pine regeneration following large high-severity forest fires in the Southwest United States. Fire Ecology. Palen, W.J., T.D. Sisk, M.E. Ryan, J.L. Arvai, M. Jaccard, A.K. Salomon, T. Homer-Dixon, and K.P. Lertzman. 2014. Consider the global impacts of oil-sands development. Nature 510:465-466. Singh, G.G., J. Tam, T.D. Sisk, S.C. Klain, M.E. Mach, R.G. Martone, and K.M.A. Chan. 2014. A more social science: Barriers and incentives for scientists engaging in policy. Frontiers in Ecology and the Environment 12:161–166. Sisk, T.D. 2011. Seeding sustainability in the West. Journal of Land, Resources and Environmental Law 31:79-100. Loeser, M.E., T.E. Crews, and T.D. Sisk. 2007. Impact of grazing intensity during drought in an Arizona grassland. Conservation Biology 21:87-97. Sisk, T.D., E.N. Aumack, H.M. Hampton, J. Prather, and Y. Xu. 2006. Landscape analysis to link science and policy: Ecological restoration of ponderosa pine forests in arid North America. Landscape and Urban Planning 78:300-310. Ries, L. and T.D. Sisk. 2004. A predictive model of edge effects. Ecology 85: 2917-2926. Ries, L., R.J. Fletcher Jr., J. Battin, and T.D. Sisk. 2004. Ecological responses to habitat edges: Mechanisms, models and variability explained. Annual Review of Ecology, Evolution, and Systematics 35:491-522. Sisk, T.D., N. Haddad, and P.R. Ehrlich. 1997. Bird assemblages in patchy woodlands: Modeling the effects of edge and matrix habitats. Ecological Applications 7:1170-1180. Sisk, T.D., A.E. Launer, K.R. Switky, and P.R. Ehrlich. 1994. Evaluating extinctions threats: the distribution of global biodiversity and the expansion of the human enterprise. BioScience 44:592-604. Dr. Clare Aslan is a community ecologist and conservation biologist, interested in the ecology and conservation of species interactions and how dynamics at the interaction level can scale up to the full community level. She is passionate about solutions-oriented research. 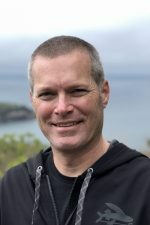 Dr. Aslan’s current research interests include the community implications of species interaction disruption via climate change and biological invasions. 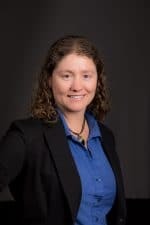 She comes to NAU from the Arizona-Sonora Desert Museum, where she managed a research program examining the impact of resource scarcity on mutualisms in desert endemic plants. Her previous research focused on mutualisms between native and non-native species in California and Hawaii. 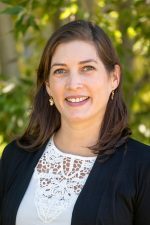 Clare obtained her PhD from the University of California, Davis, and completed a Smith Conservation Postdoctoral Fellowship at the University of California-Santa Cruz. Ramón DC Alatorre is Program Coordinator for the Doris Duke Conservation Scholars Program where he focuses on forming and maintaining the learning community by helping students link their experiences across the immersion program, facilitating team-building activities, and interfacing with guest speakers and faculty. In his pursuit of adventure, DC has ridden his bicycle across the country, completed an Ironman triathlon, become a professional dogsled driver, and currently enjoys climbing rocks with ropes. Along the way DC earned a B.S. in Chemistry, specializing in forensic DNA analysis and working on a research project that involved Big Foot. After a term of service with AmeriCorps, DC attended the University of North Carolina and earned an M.S. in Environmental Science and Engineering while doing research related to a Constructed Wetlands Water Recycling System. Starting in 2013, DC’s passions for adventure, the environment, conservation and the propagation of a sustainable ethic, brought him into the world of Environmental Education as an Instructor at the Keystone Science School as well as leading extended expeditions with various institutions like NOLS. Colleen is originally from Shonto, Arizona, a small community on the Navajo Nation. She has chosen to live and work within the Colorado Plateau where she maintains a deep connection to the diverse landscapes and cultures. In her early teens, she began to understand how coal and uranium mining affected the Diné people and knew then that she wanted to make a commitment to protect the waters, air, and land for future generations. Colleen earned her B.S. in Environmental Sciences and M.S. in Climate Science & Solutions at Northern Arizona University in 2008 and 2012, respectively. For three years Colleen served as the Energy Organizer for the non-profit environmental advocacy organization, Diné Citizens Against Ruining our Environment (Diné C.A.R.E. ), addressing energy and environmental issues affecting Navajo communities in the Four Corners region. In addition to bringing her diverse background and experience to LCI, Colleen works as a part-time river guide and advocate on the San Juan River, and volunteers for several local Flagstaff initiatives including the Colorado River Days celebration and the Flagstaff Mountain Film Festival. A strong advocate for recycling and renewable energy, Colleen builds and implements sustainable initiatives on the Navajo Nation, including building her home from recycled materials. She blends traditional and western concepts of sustainable practices in her own life: recycling, composting, gardening, and use of reusable bamboo utensils, grocery bags, coffee mug and water bottle, and drives a Toyota Prius hybrid. Cari is the Senior Program Coordinator for the Landscape Conservation Initiative and the Olajos-Goslow Endowed Chair where she supports LCI’s communications activities, the Wyss Scholars program, and field education programs which educate and inspire undergraduate students through exploration of the Colorado Plateau and Grand Canyon regions. Cari has been developing projects for the OG Endowment that infuse art and science into the public dialogue about the shifting socio-ecological landscapes that compose the Colorado Plateau. Cari hails from Billings, Montana and attended graduate school at the University of Montana where she earned her M.S. in Environmental Studies with an emphasis on land-use planning collaboration and conservation policy. Her previous work experience includes political campaign and nonprofit development coordination, communication work, and a brief stint coaching gymnastics. She spends her free time trail-running, rock-climbing, and just generally living large with her husband and daughter. Melissa, Director of the Doris Duke Conservation Scholars Program, received her Ph.D. in Ecology and Evolution from Stony Brook University and served as a National Science Foundation Minority Postdoctoral Research Fellow at Columbia University. 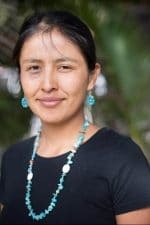 Her research focused on avian evolutionary ecology and conservation in Latin America, primarily Nicaragua, where she also engaged in participatory action research with local communities to advise farming cooperatives on the impact of land management practices and ecotourism initiatives on avian diversity. She has taught ecology and conservation field courses in Brazil and Nicaragua, mentored students from the US and Latin America, and developed environmental education curriculum while serving as a Fulbright Scholar. She is very excited to share her passion for science-based conservation, public outreach, and community development with the DDCSP scholars. Melissa believes that spending time in nature inspires creativity and curiosity, and is looking forward to discovering new insights within the American Southwest. Martha is a native Midwesterner who headed for Montana’s big sky to attend college, and whose heart hasn’t left the Intermountain West since! What began as deep awe for the beauty of wild places and pure joy in the adventures they hold, has evolved into a passion for conserving healthy landscapes and the communities they support. In 2014, Martha moved to Flasgstaff to pursue her M.S. in Environmental Sciences and Policy at NAU, where she studied ecological restoration, non-native vegetation, and management evaluation. Martha has long worked in the outdoors as a field researcher, restoration practitioner, environmental educator, and backcountry guide. In her current role as a Research Associate for LCI, Martha has brought the full breadth of her experience and education to bear in working with Dr. Aslan to plan, coordinate, and implement a diverse range of ecological and socio-ecological research projects. Outside of work, you can spot Martha getting dirty in the kitchen, on the trail, or in the garden. Sara is a plant ecologist and conservation biologist, whose research focuses on conservation of biological communities and human interactions with natural systems in a changing world. Her desire to conduct research that results in actionable conservation and management strategies developed during her service as a Peace Corps volunteer in Paraguay, where she taught soil rehabilitation as an alternative to slash-and-burn agriculture. During this time, she became fascinated with Paraguayan ethnobotany. Following Peace Corps, she returned to her home state of West Virginia to study a North American wild-harvested medicinal plant species, American ginseng. During her graduate studies, she conducted fieldwork and laboratory experiments in the eastern deciduous forest, Alaska, and Canada. 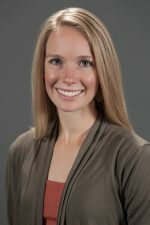 After completing her PhD in Evolutionary and Environmental Biology at West Virginia University, she received a David H. Smith Post-doctoral scholarship to study eco-genetic consequences and considerations of managed relocation of species imperiled by climate change at the University of Wisconsin-Madison. 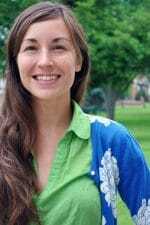 She then taught ecology, statistics, and plant taxonomy as an assistant professor at West Virginia Wesleyan College, before joining her husband and family in Flagstaff, Arizona. 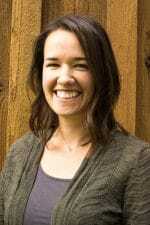 Currently, Sara is an assistant research professor at Northern Arizona University’s Landscape Conservation Initiative and enjoys hiking, foraging and cooking with her husband and two daughters in her free time. One day she hopes to mountain bike, ski, and paint again, as well as write a botanically-themed mystery novel. Sasha hails from Southeast Alaska where the magnificent landscapes and controversies of fisheries and forest management shaped her career interests in conservation and community. She graduated from Lewis & Clark College in 2007, where she majored in Biology and was named a Udall scholar. At Lewis & Clark, Sasha received an academic research grant to study endangered butterfly populations on the Oregon Coast and worked with The Nature Conservancy on restoration of butterfly habitat. She spent a semester abroad in Kenya and Tanzania studying community-based conservation, and later returned to the Lewis & Clark East Africa program as a trip leader. 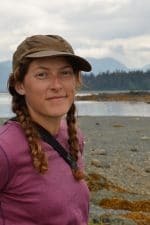 Sasha has worked on salmon streams at Sitka National Historical Park, and traveled the Alaskan arctic tracking and monitoring threatened bird species with the USGS Alaska Science Center. Her interest in conservation planning led her to the U.S. Institute for Environmental Conflict Resolution in Tucson, AZ, where she spent three years as a Program Associate and became certified in mediation. Sasha completed her Master’s in Environmental Sciences and Policy at Northern Arizona University in 2014, and was selected as a Wyss Scholar for Conservation of the American West. 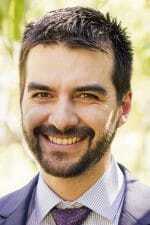 Sasha now works for Northern Arizona University’s Landscape Conservation Initiative. Her work focuses on collaborative land-use planning and participatory science. She has maintained her passion for outdoor leadership and experiential education as an educator for the Grand Canyon Semester at Northern Arizona University and an expedition leader for National Geographic Student Expeditions. Sasha loves rock climbing, canyoneering, playing fiddle in a local band, and fishing for salmon with her family in Alaska. We contribute original science to inform policy and management issues. We provide collaborative planning tools to solve complex environmental problems. We offer educational opportunities that address current issues and incorporate field-based experiences.